“I’m gonna kill ’em all.” Today, Netflix released the official trailer for their upcoming series Marvel’s The Punisher. 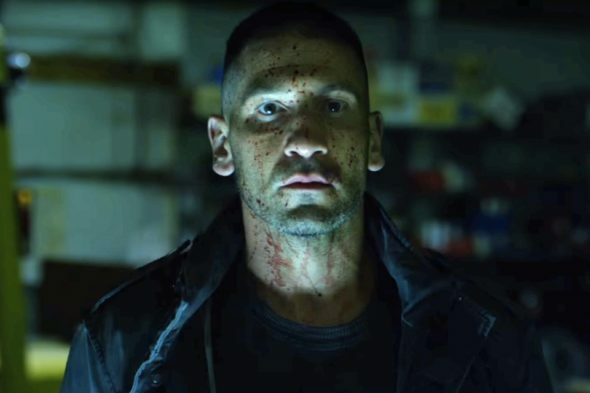 The Daredevil spin-off will follow The Punisher (Jon Bernthal) as he exacts revenge on those who killed his family and “uncovers a conspiracy that runs far deeper than New York’s criminal underworld.” The cast also includes Ebon Moss-Bachrach, Debroah Ann Woll, Ben Barnes, Amber Rose Revah, and Michael Nathanson. Marvel’s The Punisher is slated to premiere on Netflix later this year. What do you think? Are you a fan of Netflix’s Marvel series? Will you watch The Punisher? Marvel’s The Punisher: Cancelled or Renewed for Season Two on Netflix? I’m sorry to say that if this is an indication of what is to come then ti just doesn’t fill me with anticipation at all.